This is a Try Me FREE Rebate! It’s also a great FREE item to get for fathers for Father’s Day or for any car lover in your life! 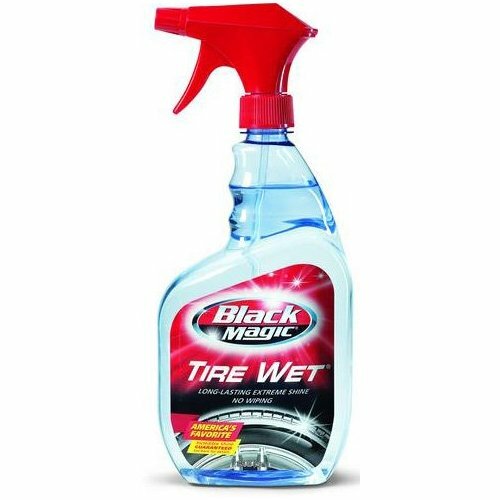 You will get a FREE Black Magic product after mail in rebate – up to $8.29 on Black Magic Tire Wet Spray Gel 16 oz or $9.99 on Black Magic Tire Wet Wax 8 oz. Black Magic is the official shine of Carcissists. You can find Black Magic products at Auto Zone, O’Reilly’s, Target, Meijer, Pep Boys and Advanced Auto Parts. Rebate is valid for purchases through 4/15/12.